Author: IUCN. (1999). (C. Alfaro Quesada, B. Mendoza de Sanchez, & R. Guatemala, Authors). 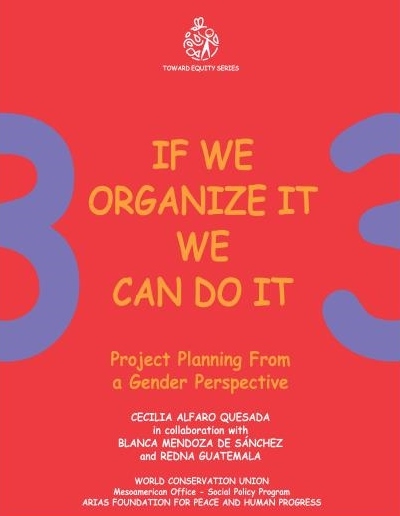 The goal of this series is to ensure that projects achieve greater equity in regard to participation by women and men in the decision-making process as well as in accessing services, goods, and resources. This module discusses the most important topics prior to the initiation of any project, includes exercises aimed at acquiring a deeper insight about the actions taken, and emphasizes the significance of involving all project participants in the feedback process.